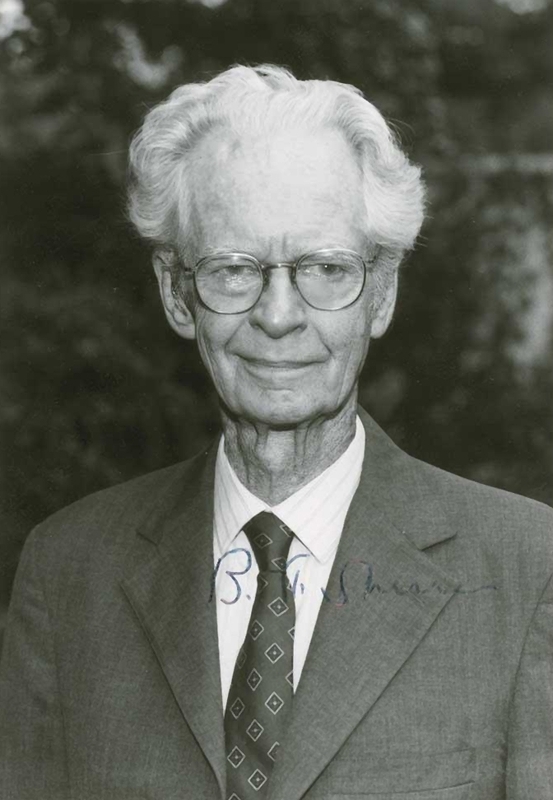 B. F. Skinner (born as Burrhus Frederic Skinner in Susquehanna, Pennsylvania, United States, died in Massachusetts, United States) was a famous Psychologist from USA, who lived between March 20, 1904 and August 18, 1990. He became 86 years old. Burrhus Frederic Skinner, often referred to as B. F. Skinner, was an American psychologist and author. He is known for his pioneering work in experimental psychology and to have advocated behaviorism, a psychological approach that calls for the understanding of behavior as a function of past reinforcements in the environment. He also wrote a number of controversial books in which he advocated the widespread use of behavior modification techniques (primarily operant conditioning) to improve society and make mankind happier. Much of Skinner's research has been fundamental to the later development of cognitive and behavioral therapy for children with autism. He is born under the zodiac pisces, who is known for Fluctuation, Depth, Imagination, Reactive, Indecisive. Our collection contains 10 quotes who is written / told by F. Skinner, under the main topic Education. "We shouldn't teach great books; we should teach a love of reading"
"The way positive reinforcement is carried out is more important than the amount"
"The real problem is not whether machines think but whether men do"
"The consequences of an act affect the probability of it's occurring again"
"Society attacks early, when the individual is helpless"
"If you're old, don't try to change yourself, change your environment"
"I did not direct my life. I didn't design it. I never made decisions. Things always came up and made them for me. That's what life is"
"Give me a child and I'll shape him into anything"
"Education is what survives when what has been learned has been forgotten"
"A failure is not always a mistake, it may simply be the best one can do under the circumstances. The real mistake is to stop trying"